Bart Markus ist seit 2000 aktiver Teilhaber bei Wellington Partners. Hier fokussiert er sich vor allem auf Prozesstechnologien und insbesondere auf den Bereich Resource Efficiency. Herr Markus kam in den Niederlanden zur Welt und kann auf eine lange Karriere als Unternehmer zurückblicken. Sein Hauptarbeitsfeld ist es, internationalen Unternehmen dabei zu helfen, außerhalb Europas erfolgreich zu werden. Dabei konzentriert er sich dabei vor allem auf den us-amerikansichen und asiatischen Markt. Bart Markus: "I don’t necessarily believe that there is much doubt in anyone’s mind about the need for change in our energy policy – it’s much more a question of whether we are willing to pay the price to make the required changes or whether we keep on pushing the real cost on to the next generations." Milk the Sun: Lieber Herr Markus, die Liste derer, denen in den letzten Monaten und Jahren ein Ausbremsen der Energiewende vorgeworfen wurde, ist lang. Wie schätzen Sie die klimapolitischen Ergebnisse der letzten Legislaturperiode der schwarz-gelben Regierung ein, der nach Kanzlerin Merkel „erfolgreichsten Bundesregierung seit der Wiedervereinigung“? Bart Markus: I think that Germany has over the past decades played a very important role in combating climate change – in particular in driving the solar and wind energy to a level where now they are competitive with fossil fuels without the need for subsidies in many cases (in particular residential solar and land-based wind). 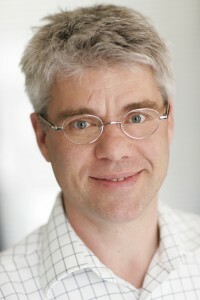 Bart Markus: After reaching grid parity on a residential level, the next important step that I expect any government to take is to implement net metering – the ability for each resident to sell power back to his utility at the same rate as the utility is charging him at that very point in time, possibly with a flat fee for operating the grid. The next step after that would be to allow consumers to sell their power at variable pricing, derived from the Leipzig power exchange. That will then drive the next big wave in consumer adoption of distributed renewable energy, easily enabling Germany as a country to meet and even exceed its renewable targets. Bart Markus: I don’t necessarily believe that there is much doubt in anyone’s mind about the need for change in our energy policy – it’s much more a question of whether we are willing to pay the price to make the required changes or whether we keep on pushing the real cost on to the next generations; our children and their children. Pretty awful thought that that is what we are still doing as a society, or? Bart Markus: We live in a capitalistic society where most if not all rational decisions are made on an economic basis. It will always be hard to drive these changes from an ideological standpoint only without changing the fundamentals of our society (and I would certainly not propose to do that – I believe that capitalism has proven over time to be the most efficient form of society to drive human welfare). As such we need to provide strong economic drivers on a worldwide scale to combat climate change successfully; the implementation of a worldwide carbon tax on each kilo of CO2 (and other greenhouse gasses) emitted is in my view the only practical way to deal with this. Wir bedanken uns bei Herrn Markus für das Interview.